A picture perfect day for revisiting and exploring this unique town surrounded by majestic mountains. 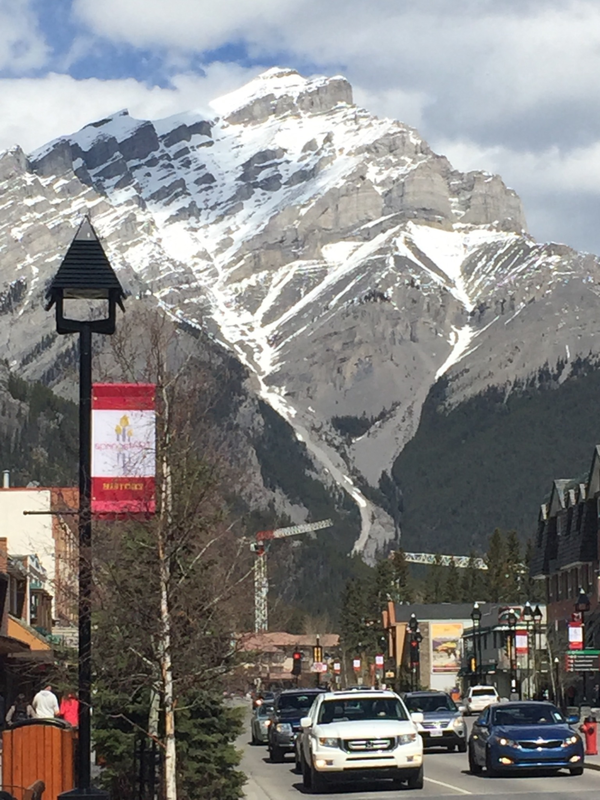 I was visiting my sister in-law and her husband in Calgary, and we drove to Banff for the day. I love the shops on Main Street, the Banff Springs hotel was amazing! But this picture , looking down Main Street to that mountain was breathtaking! It was a picture perfect day.